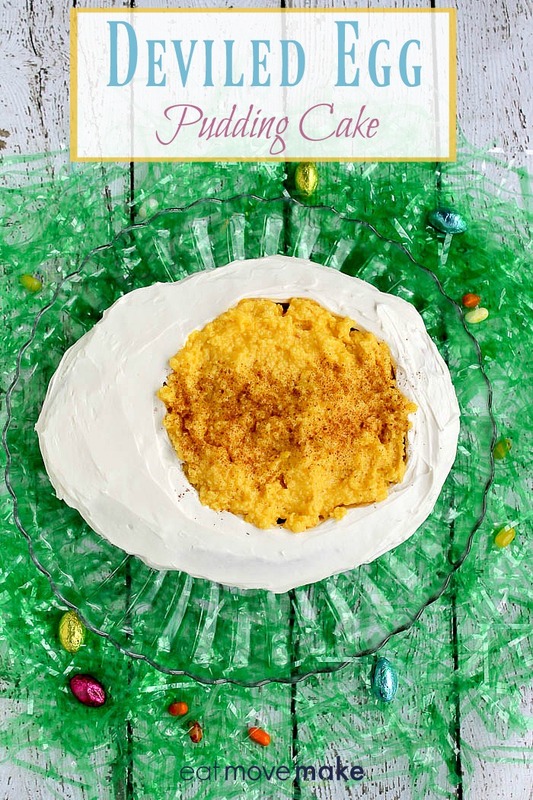 This deviled egg pudding cake was my boyfriend’s dream. Sometimes he comes up with these visions in his head, and he’s determined to see if he can make it happen. 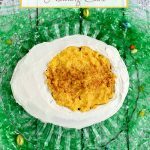 I had planned on making deviled eggs for Easter, so that’s probably what kicked off his crazy notion of a cake that looks like a deviled egg. Well, I gotta hand it to him. He nailed it. Or darn close. And his finished deviled egg cake is made of cake, pudding and frosting. Easy. So you know how deviled egg filling is sometimes a bit chunky… yeah, that’s what he was going for. It’s a combination of cake and pudding, but you could fill it with just pudding if you wanted it to be smooth. Tastes good either way, y’all. I mean, it’s cake. And pudding. And frosting. 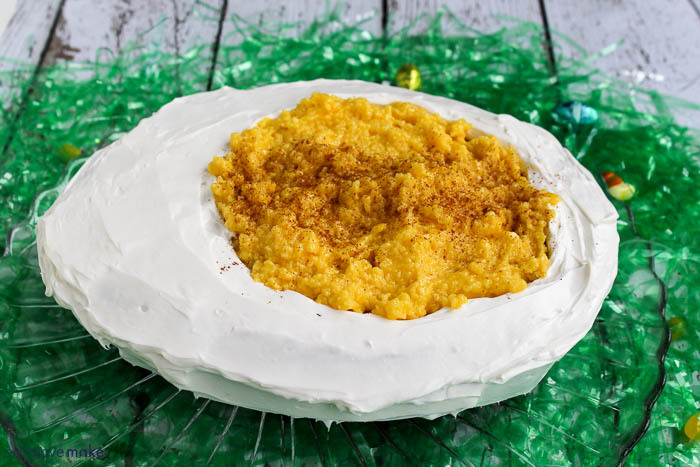 So here’s the 411 on how to make this deviled egg pudding cake. Get yourself an Easter Egg cake pan or a football cake pan, and bake a yellow cake inside it. We only had a football cake pan, and you can’t even tell, can you? Let it cool completely, then using a cake leveler, remove the curved top so you have a flat cake. If using a football pan, you’ll want to slightly round the edges to make it perfectly egg-shaped. 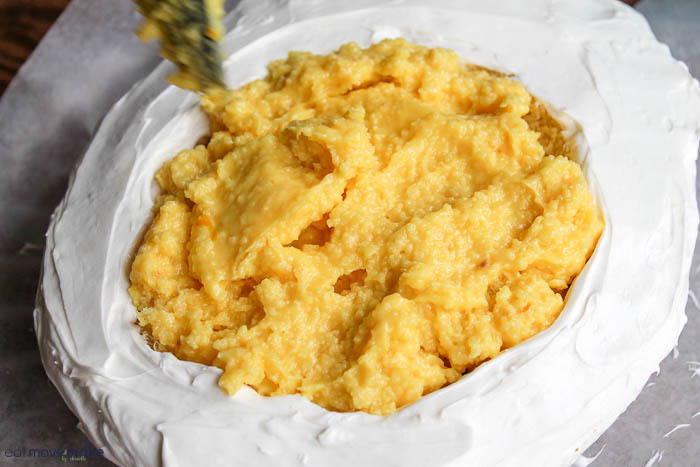 Then scoop out some of the cake, so it resembles the shape of a hard-boiled egg with yolk removed. Now you frost the sides and flat top of the “egg” with white icing. 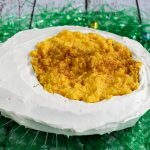 Then mix those scooped out cake crumbs (waste not, want not) into some lemon pudding, and fill the deviled egg cake with it. Sprinkle on some cinnamon to look like paprika. Spray cake mold, and preheat oven to 350 degrees. Prepare cake batter according to package directions, and pour into mold. Bake about 35 minutes or until springs back and toothpick inserted in center comes out clean. Let cool completely. Prepare pudding mix using 1 1/2 cups milk. Refrigerate. 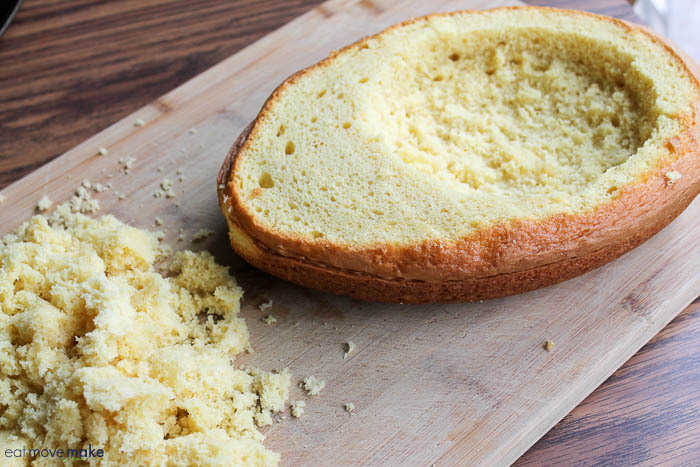 When cake has cooled, carefully remove from mold to a tray. Use a cake leveler to flatten out the cake top. 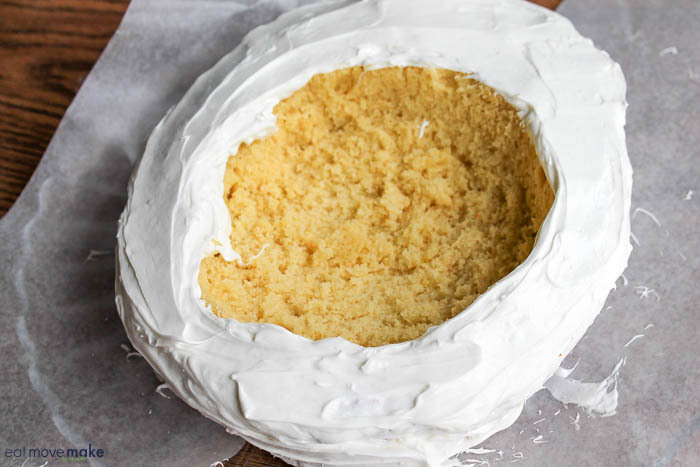 and then scoop out some of the cake insides to resemble a hard-boiled egg with yolk removed. Reserve cake crumbs. Add cake crumbs to refrigerated pudding; mix together well. Spoon into hollowed out cake middle. Sprinkle cinnamon on top to resemble paprika. 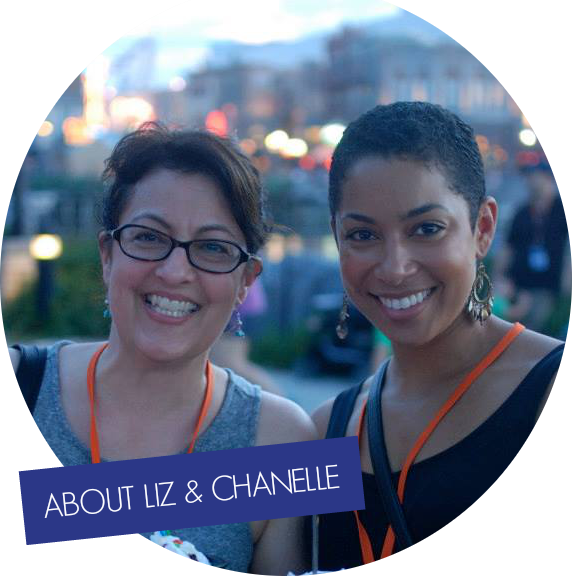 And there you have it – the most ridiculous thing I’ve ever put on my blog, but it’s delicious. And my boyfriend is happy. Who doesn’t love an OREO dessert? 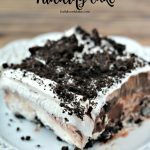 This OREO pudding cake recipe brings together the bittersweet cocoa of OREO cookies and the creaminess and sweetness of chocolate pudding, cream cheese and whipped topping. There’s really no way to go wrong here. 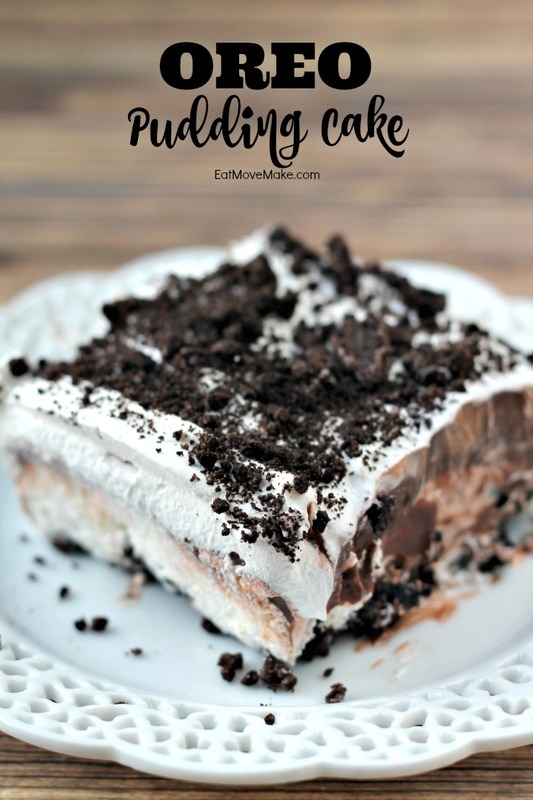 Start by making an OREO cookie crust with these OREO cookies, and I totally think you need to leave the cookie crumbles sorta chunky! 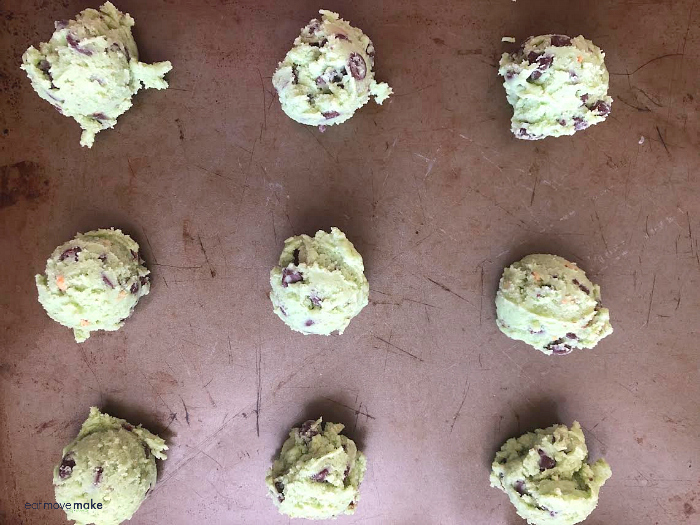 Yes, you can roll them fine if you wish, but trust me… the cookie chunks work. 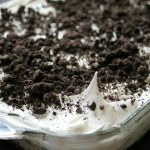 Next comes a layer of cream cheese, powdered sugar and Cool Whip, followed by pudding, Cool Whip and a topping of OREO cookie crumbles. It’s super easy to make, but plan on chilling each of the layers a bit before moving on to the next. All of this happens in a 9 x 13-inch baking pan, by the way. 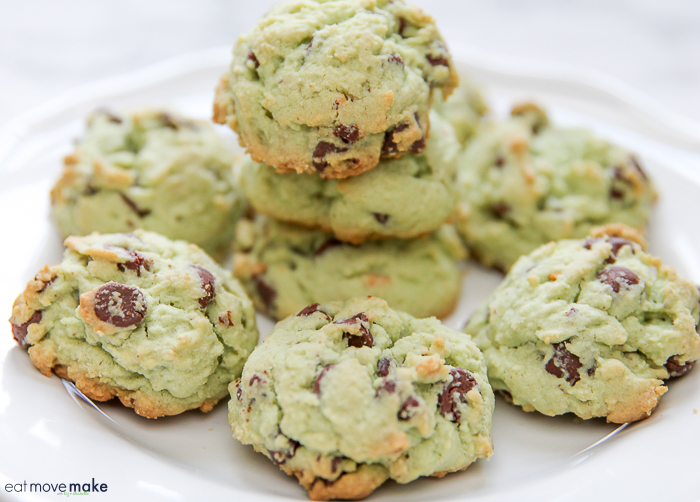 Crush cookies; reserve 1/2 cup for topping. 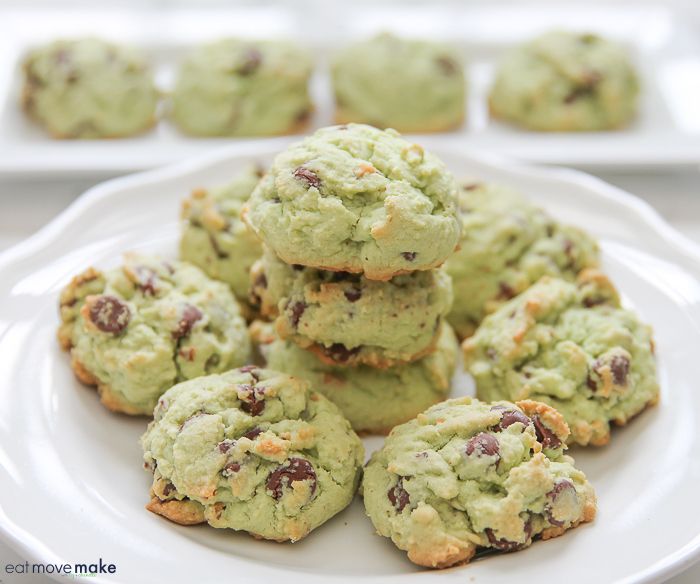 In 9 x 13-inch pan, mix cookies and melted butter. Pack firmly for crust; chill for an hour. 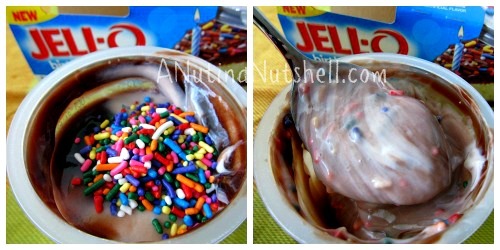 Mix cream cheese, 12 oz cool whip and powdered sugar until well blended. Spread over cookie layer; chill an hour. Make pudding according to pkg directions. Be sure it has thickened before next step. Spread over cream cheese layer; chill slightly. Spread rest of cool whip on top and sprinkle on reserved cookies. Chill for several hours. Keep refrigerated. 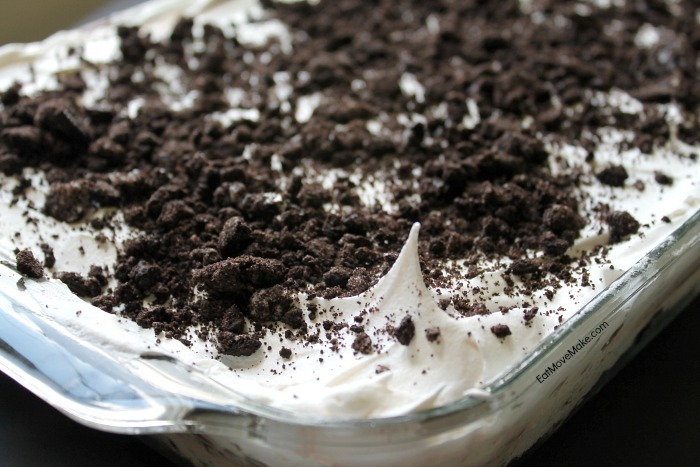 OREO desserts go over really well at parties, so try serving this at your next summer event. Adults and kids will love it! Love peanut butter? Love bananas? Love ’em together? 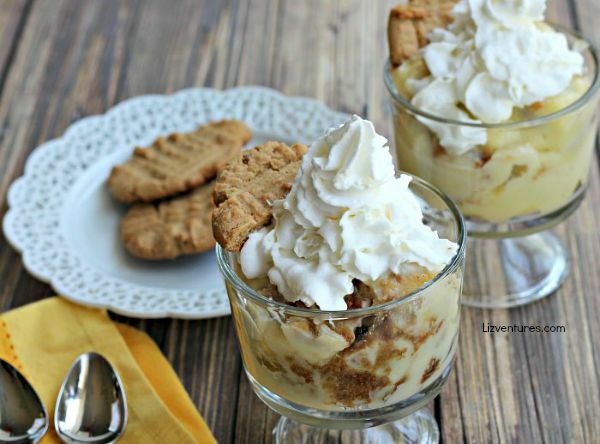 Try this double peanut butter cookie banana pudding! 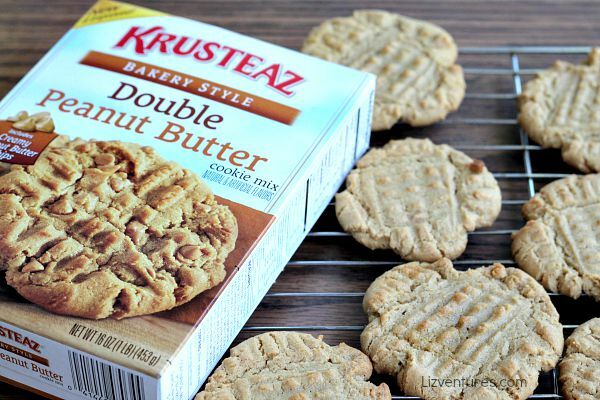 You’ll start by baking up a batch of Krusteaz Double Peanut Butter cookies. They’re hard to resist fresh from the oven, so why fight it? You can have one! You won’t need them all for the recipe. 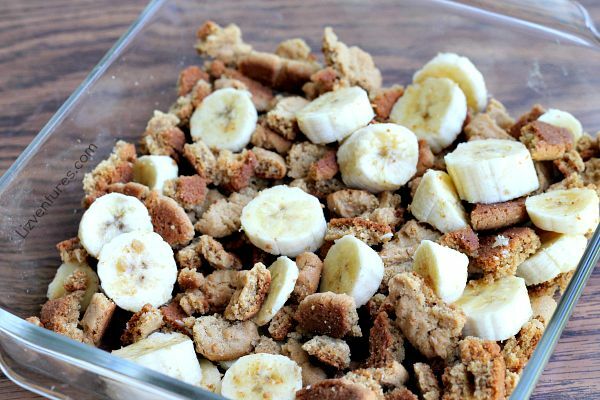 Break cookies into chunks and mix together with some banana slices in a square baking dish. You’ll pour the homemade pudding over the top, then refrigerate several hours until set and completely cool. Spoon into individual dessert dishes and top with whipped cream. You’re gonna love it! 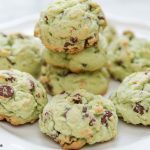 You can get the recipe here where it’s being featured on the Krusteaz website. 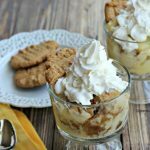 As a Krusteaz ambassador, I love playing around with Krusteaz mixes, so whipping up this delectable double peanut butter cookie banana pudding was so much fun. I wish I could express just how delicious it is, and I’m pretty darn sure it will leave you smiling spoonful after spoonful. 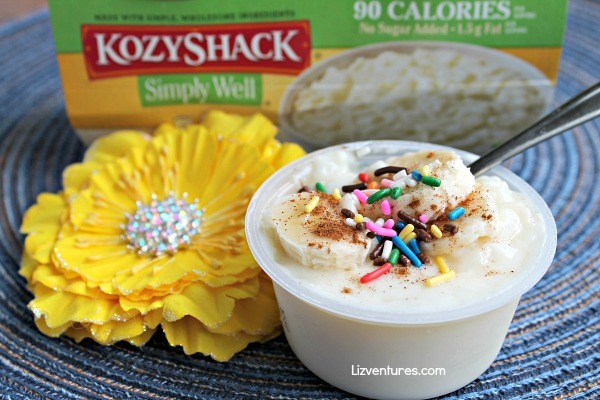 I’ve been having the best time trying out different pudding topping ideas for Kozy Shack® Simply Well Rice Pudding. 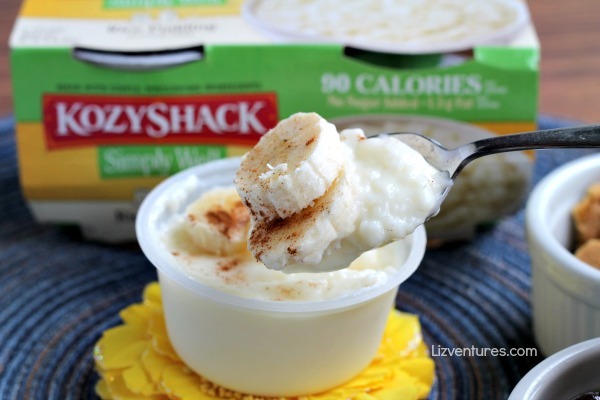 Mind you, I absolutely adore eating it as a snack right from the cup, but it only has 90 calories, so I can sprinkle some fun on top sometimes and still feel great about it. It’s also gluten free, has just 1.5 grams of fat per cup and there’s no sugar added. 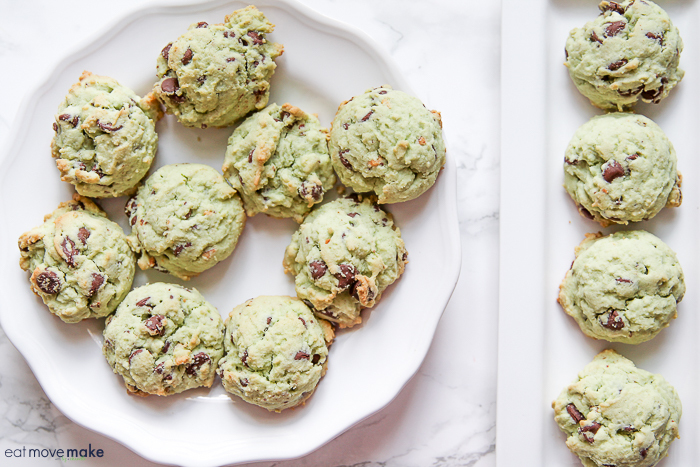 That’s what I call better-for-you snacking! Here are some of my favorites, and for the record, I try to keep them as wholesome as possible. 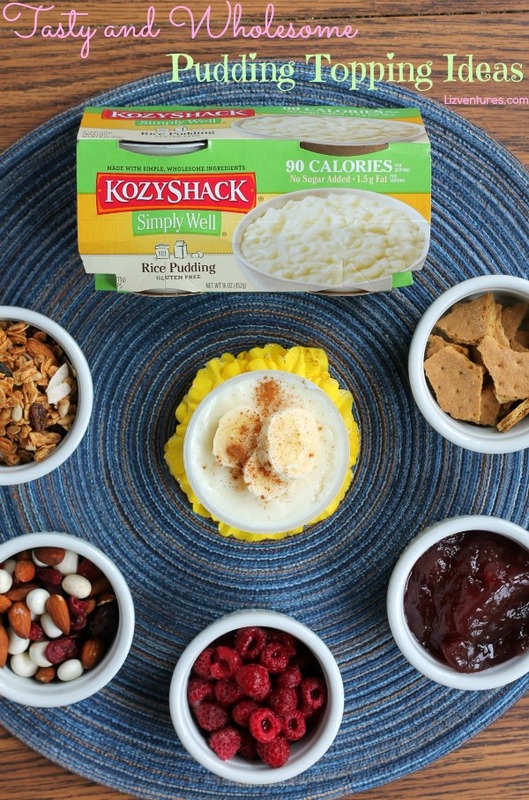 Adding delicious, wholesome (and fun) toppings to your Kozy Shack Simply Well pudding takes your snacking to a whole new level of tastiness! 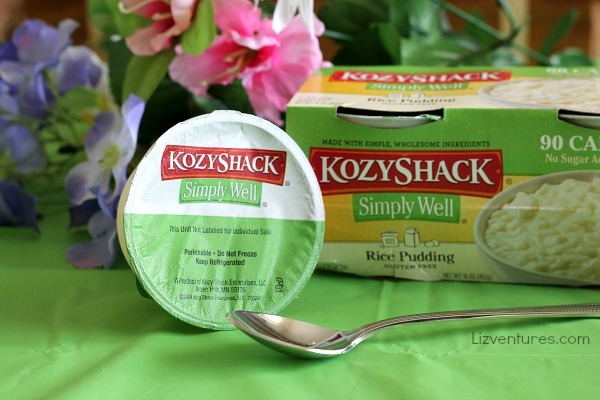 For more information on Kozy Shack® Simply Well Tapioca Pudding and Kozy Shack® Simply Well Rice Pudding, visit the website and be sure to follow Kozy Shack on Instagram for lots of other ways to Snack Simply with Kozy Shack® Simply Well. 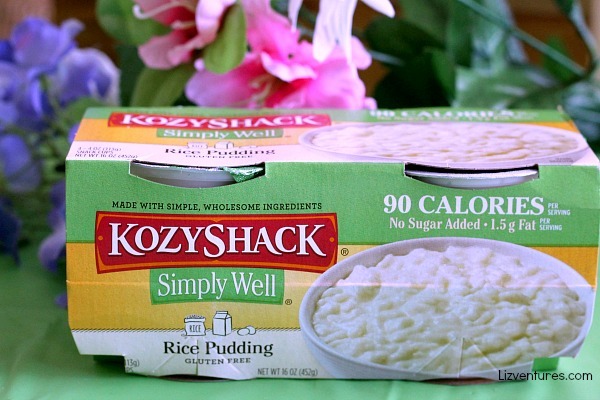 See this Kozy Shack® Simply Well® Rice Pudding? 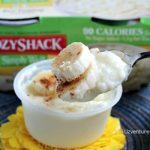 It’s such a treat at only 90 calories, and it’s gooooood stuff! I just tried it for the first time recently, and now I’m hooked because it fits in perfectly with my health goals. For the last few months, I’ve been working really hard on maintaining healthy habits in my life. My blood pressure was scary high in February, and I had to focus on losing weight and adding regular exercise back into each and every day. Sigh. 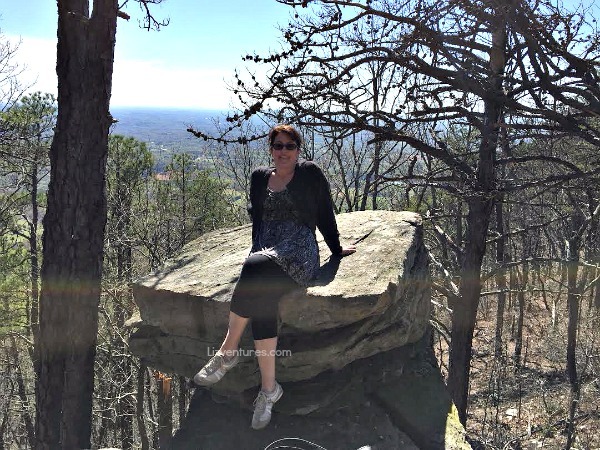 Thankfully, the return of warm weather has inspired frequent weekend getaways where I can go hiking and exploring outside. (Hiking is infinitely more fun than walking on a treadmill.) 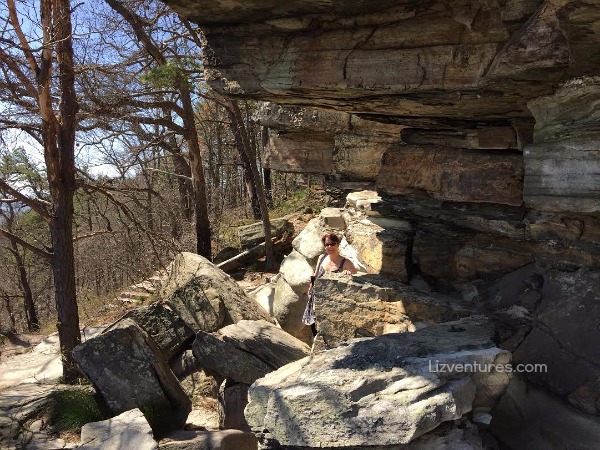 Last weekend I spent an afternoon on the trails and rocks around Pilot Mountain. Rocks are fun to climb at any age! It was actually the first hike I’ve been on in forever and a day, so I took the easiest path they had. A girl’s gotta test her mettle first. Once I passed the mettle test, I went right onto a longer, more difficult trail with a steeper grade, and somehow I survived that too. It was fun! I took a break to relax on this rock and I was smiling because I had jumped over a crevice to get out to that rock and didn’t fall off the edge of the mountain. 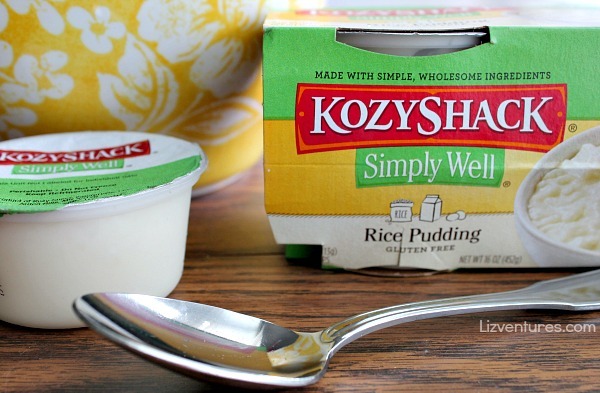 To fuel me back up after my adventure, I grabbed a single cup portion of KozyShack® Simply Well® Rice Pudding. 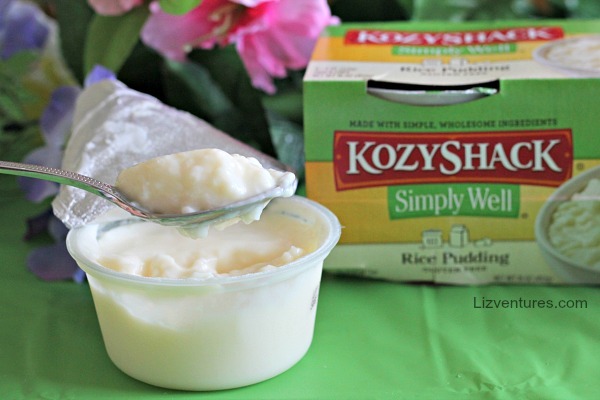 I’ve been loving this Kozy Shack® Simply Well® Rice Pudding, but there’s also Kozy Shack® Simply Well® Tapioca Pudding… I just haven’t been able to find that one yet. 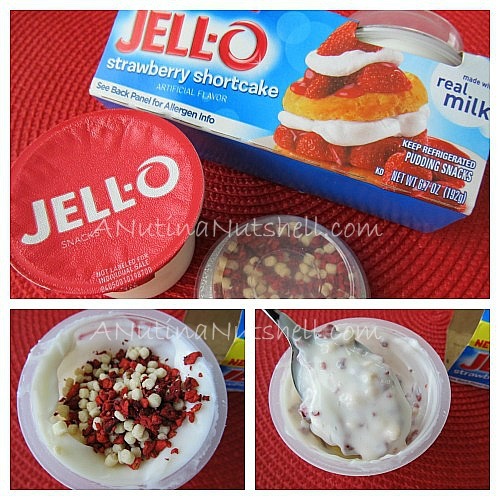 You’ll find the pudding in the dairy case, and remember to look for it in 4-packs, not tubs. 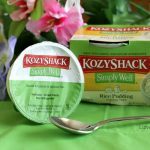 Kozy Shack® Simply Well® Pudding is a great way to satisfy your sweet tooth and feel good about it! 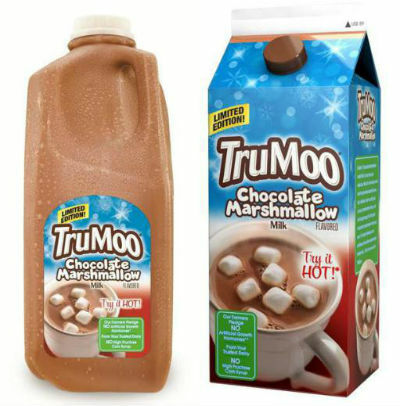 I finally found the hot cocoa-inspired TruMoo Chocolate Marshmallow Milk I keep hearing about. It’s available for a limited time only, so if you spot some at a store near you, GRAB IT!!! It’s the essence of hot cocoa with the magic of marshmallows inside. Drink it icy cold from the carton, or heat it for a few seconds in the microwave for a soothing hot cocoa treat. To turn it s’mores-y, dip the rim of your glass into some graham cracker crumbs first! I’ve been hooked on TruMoo since my kids and I discovered it. As a child, any chocolate milk I had was through the spoon and powder method. What was I thinking? The rich, velvety taste of TruMoo chocolate milk puts that lumpy, grainy chocolate concoction firmly into my past. 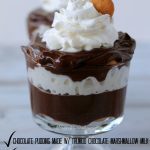 In fact, I liked the Chocolate Marshmallow flavor so much that I used it to make a hot cocoa-inspired chocolate marshmallow pudding! 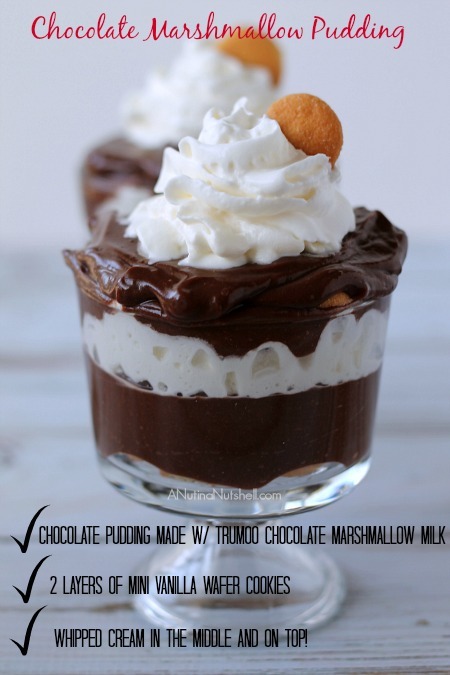 Just use TruMoo in place of white milk when making instant pudding, and you’ll get a double chocolate-y boost of flavor! 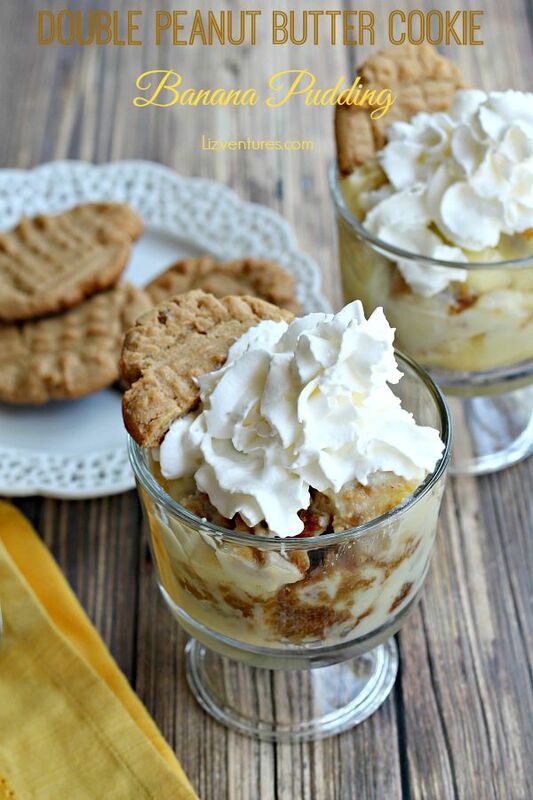 Line the bottom of the dish with mini cookies or graham crackers and then layer on pudding, whipped cream, more cookies, more pudding and finally a twist of whipped cream on top. TruMoo Chocolate Marshmallow milk is made with fresh white milk sourced from regional dairies around the country, pure cocoa and just enough natural sugar to make it taste great. It’s nutritious and delicious! Contains no Artificial Growth Hormones and no High Fructose Corn Syrup. How would you like to try TruMoo Chocolate Marshmallow milk — hot or cold? 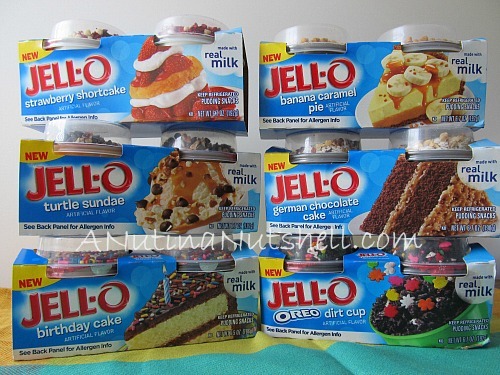 They should just call JELL-O Pudding with Mix-Ins “JELL-O Pudding with Magic Mix-Ins” because that’s how these little cups of dessert taste! The new line of creamy pudding snacks have tasty sprinkle-on and mix-in toppings which turn the pudding into, well….magic, I tell ya. Adults will love them (I’m proof of that) and kids will too! 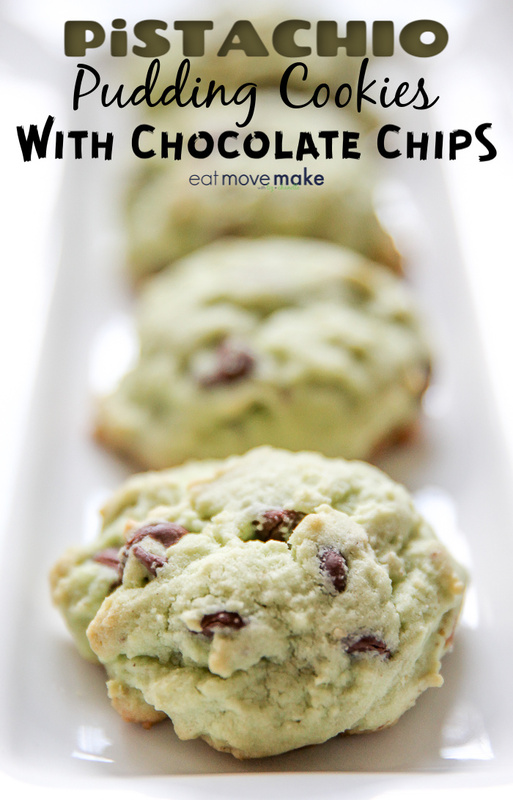 Made with real milk and without any artificial sweeteners or high fructose corn syrup, parents will feel great about letting kids enjoy them in their lunchboxes or as after-school snacks. 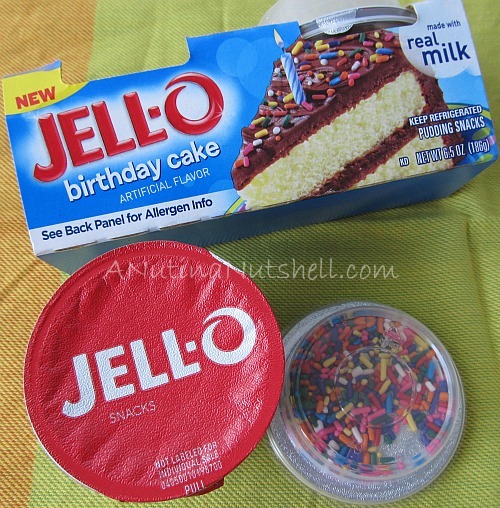 Each refrigerated ready-to-eat snack comes with pudding and a cup of sprinkles to mix in. Irresistible! There are six yummy flavors: German Chocolate Cake, Turtle Sundae, Oreo Dirt Cup, Birthday Cake, Banana Caramel Pie and Strawberry Shortcake. And I have to give a special flavor shout-out to the Strawberry Shortcake. I’m head over heels in love with that one. The strawberry mix-ins are just so scrumptious! 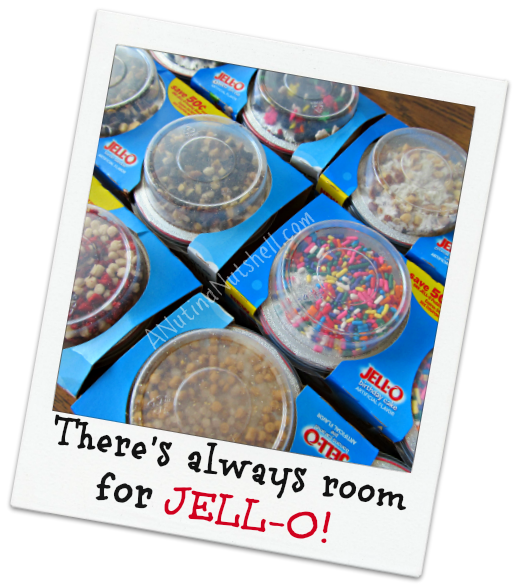 Look for the new JELL-O Pudding with Mix-ins in grocery stores nationwide! 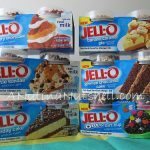 One lucky reader will win a product sampler including all six of the new JELL-O Pudding with Mix-Ins! A sample for review was provided. All opinions expressed are my own.